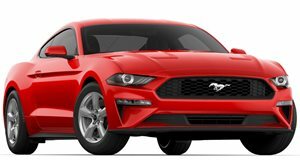 Along with the name, the application showed a new Mustang logo, which is pictured above. The new logo looks similar to the current Mustang emblem but now features horizontal lines across it. It was previously unclear whether or not this new crossover would actually use the Mustang name, or simply adopt styling inspiration from the two-door sports car. 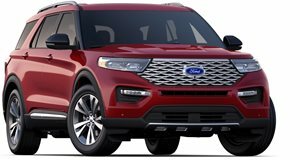 If this application turns out to be accurate, Ford will indeed use the Mustang name on an SUV for the first time ever. The Mustang Mach-E will likely be based on an electrified version of Ford's CD6 platform, which underpins the upcoming 2020 Explorer and Lincoln Aviator. By 2026, the Mustang is rumored to adopt this platform as well and increase to the size of a Dodge Challenger in the process. The Mustang Mach-E is expected to go on sale in 2020 and arrive with a 300-mile driving range and fast-charging capability. If this range estimate is accurate, Ford may be able to give Tesla a run for its money. Since the range is more than adequate, the biggest question mark will be styling. If the Mustang-inspired design translates well to an SUV body, the Mach-E could be a massive sales success.